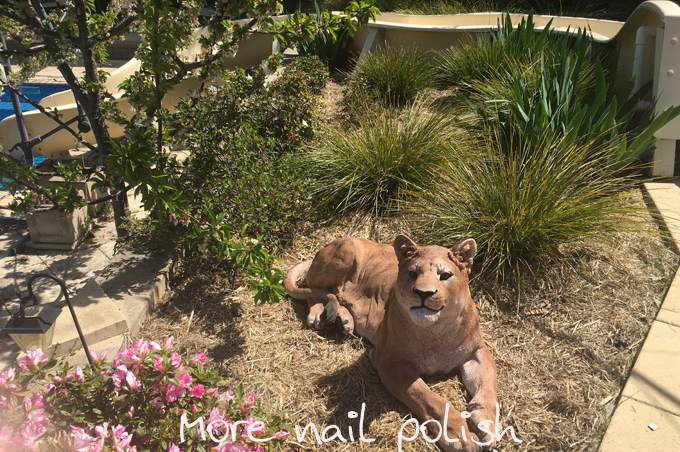 This might seem like an odd choice for something in my garden, but its totally true, I have a lioness in my garden. 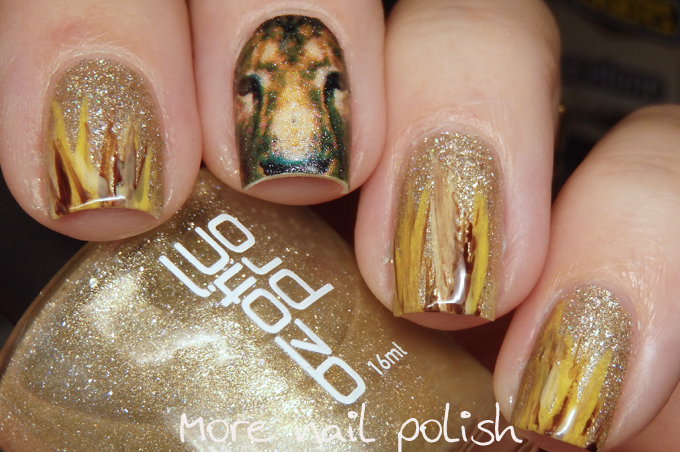 First, let's look at the nail art. 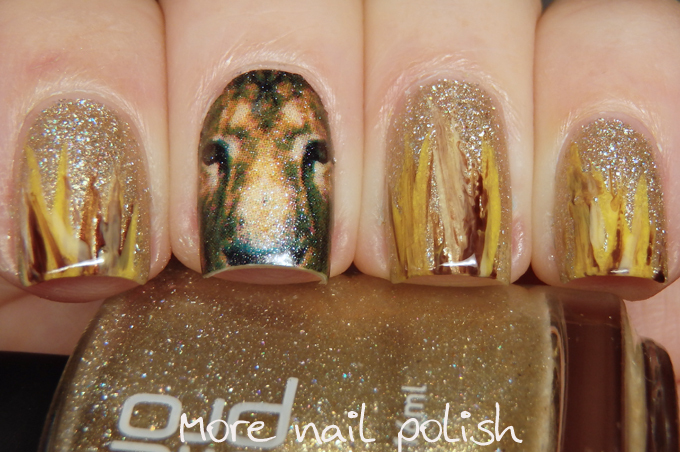 I used an old gold Ozotic for my base and then did a waterfall design using yellow and brown shades which represents the garden mulch and grass plants that surround my beautiful lion. 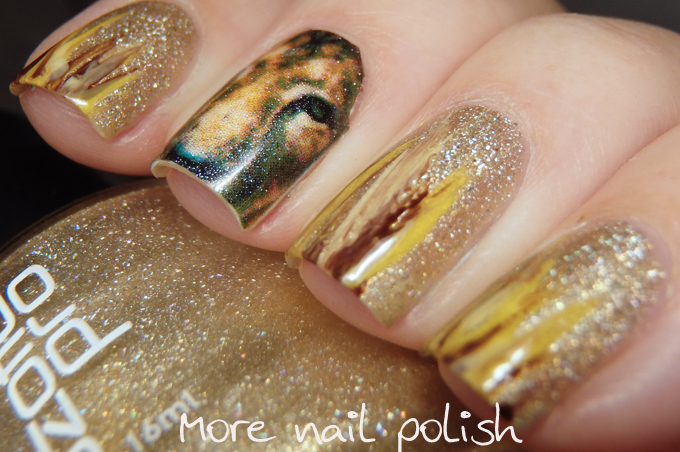 The lion feature nail is a nail wrap I got from the Born Pretty Store. So now lets meet my beautiful girl. She is huge, majestic and her name is Sarafina. It's probably hard to tell, but she is near life size and she guards a special garden area where we have the final resting place for a few of our kitties that have crossed the rainbow bridge. Sarafina is the name of Nala's mother from The Lion King. It was a choice been Sarabi, who was Simba's mother, and Sarafina. We chose Sarafina because we had lost our beautiful old girl Nahla the same year. What's funny now, is the new kitten we adopted was already called Simba, so there was no way we could change his name after the rest of the family connection. As soon as I spotted this amazing piece at Bunnings I knew it had to be mine. For so many weeks after we placed her in the garden we would still get a shock at seeing her there. She makes your heart jump for just a split second cause you wonder, Whoa! What is that huge animal! Awww I wish my pets had such a fierce guardian. Lovely! WOW!! 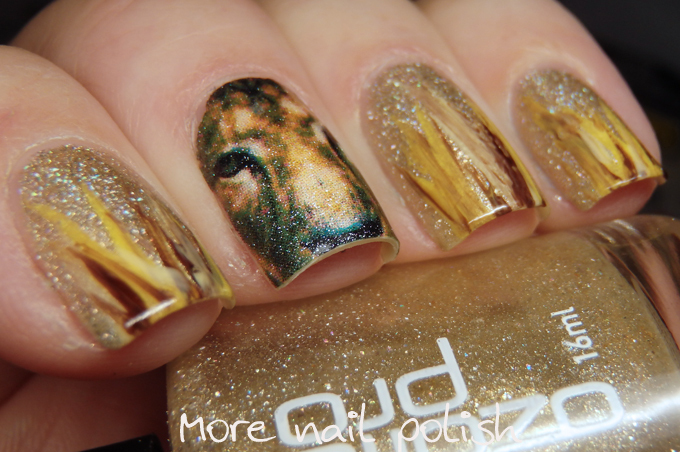 Love your lion in the garden, *and* the smashing gold nails to represent her!